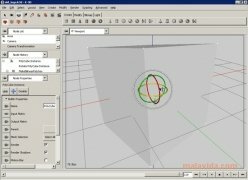 A few years ago, for 3D modeling and animation it was necessary to have 3DS Max, that had and still has a license price that is way out of the reach of many users that only spend time on 3D computer graphic creation as a hobby. 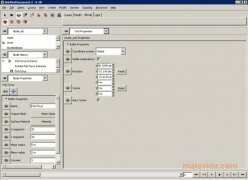 But nowadays these users have free alternatives with great quality like Blender or K3D. 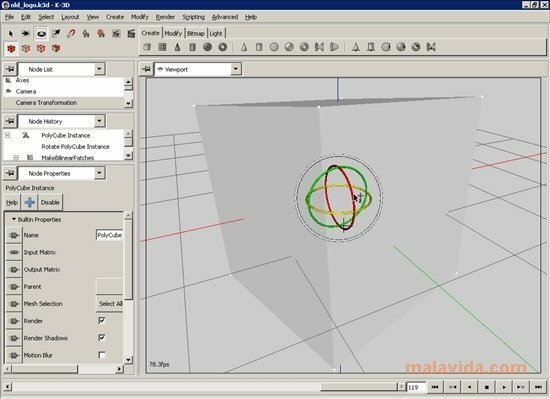 K3D is a powerful GPL application that offers the possibility to create 3D models and animations, with the maximum flexibility and power. To do so, it implements procedural and parametric work flows. 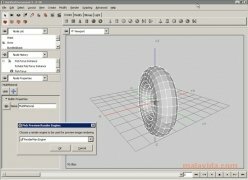 - Powerful 3D creation application based on pipeline architecture and the use of complements. - Image rendering by means of the RenderMan engine. 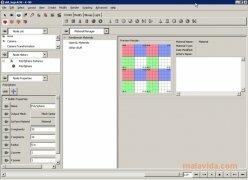 - Easy access to different utilities by using menus: material manager, animation timeline, node list, UV editor, etc. 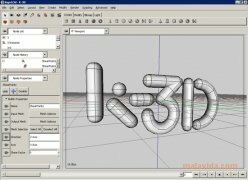 - It own extension format .k3d. - Compatible with Wavefront OBJ, GTS, RAW, OpenFX, OFF, RIB, etc. and with the most usual image formats. - Includes help and tutorial files. 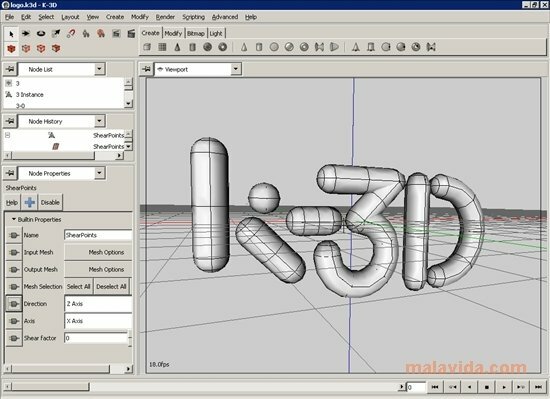 Let your imagination run wild and build all kinds of objects and animated characters in three dimensions, thanks to K3D.